leigha’s girlfriends came over last night. we had homemade chili. mom’s cornbread. fun mixed drinks: the perfect storm. 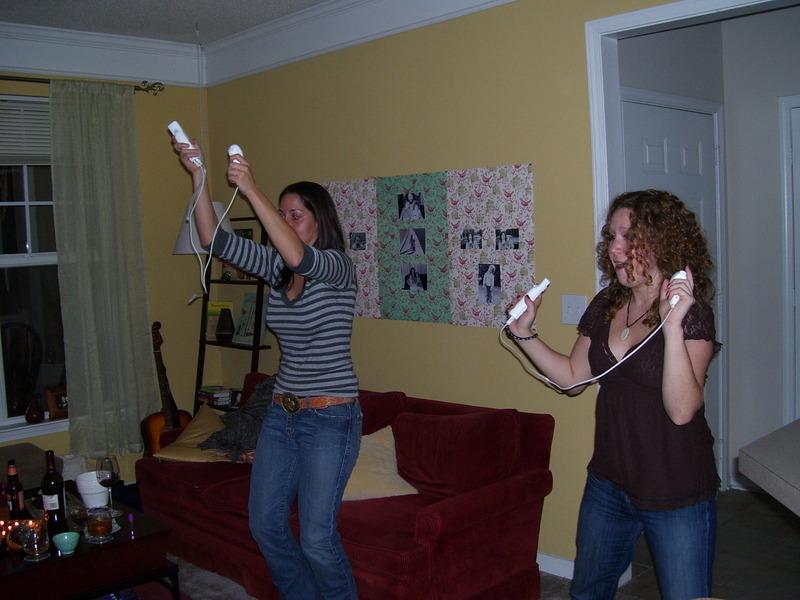 and played wiisports and super mario bros in front of a roaring fire. and for dessert… pumkin cheesecake and coffee. it was the ultimate girls night. Hey, tell Leigha that Six and I say hi! Hope you love the rest of your time there. Miss you here!